Last date for applying to the a b o v e posts will be 14.06.2013 (by 1700 hrs). AIIMS; Well known name in the Healthcare sector. 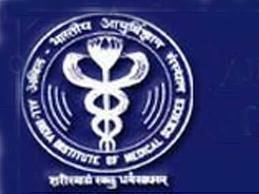 It was created in the Year 1956.AIIMs is the backbone in the Medical Science. All India Institute of Medical Sciences objective is to develop best Pattern in the field of Medical sc teaching that includes graduates, Post graduates and many branches of the medical science.this institute provide Ample opportunity and facilities in the Filed of Teaching, Research and Patient-Care. It is Self running abd self sufficient body in the Health Care Industry. Every Medical professionals dream for getting AIIMs Job in there profile. Its true that from Time to Time AIIMs published Jobs in various Sources. Using that collection I have bring you the Top Class job Opportunity with AIIMs., In these Links you can get various details of the Job opportunity in all arena of the Health Care.